When you read a Jonathan Hickman book, you’re really paying for an experience; the layout of the trade, the designs, the blank pages, the quotes. These are purposeful breaths of fresh air between heavy, convoluted plotting. Hickman throws so many characters and so much world-building into The Black Monday Murders Vol. 1: All Hail, God Mammon that, if caught in the wrong mindset, you might give up on it. To call Hickman’s work ambitious is a moot point. It’s simply what you come to expect. His most straight-forward project is East of West, which says a lot. All Hail, God Mammon is a curtain raiser. 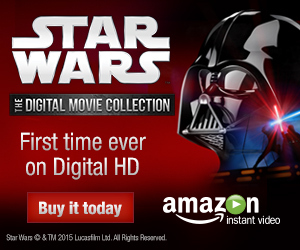 It’s a bloated first act in a saga that promises more than it gives on the first serve. But in spanning so many years, and tossing so many personalities into the mix, it begs for a second and third read. That would be unfortunate, but Hickman’s writing is on the mark. The dialogue is captivating. The characters have fully formed voices. Many of them are startling and unsettling. It feels as though they’re all smarter than the reader, but not in a condescending way. It’s Hickman daring us to keep up. Early in the book there is a page dedicated to outlining the four characters we met in the preceding pages. It’s a shame this isn’t a more regular staple. Hickman’s deviations from the direct story at hand, however, are far more frequent. They’ll come in the form of newspaper articles, diary entries, police reports, and the like. These are fascinating. It’s more than supplementary material. They’re essential parts of a multi-generational story. These snippets also define characters and events as easily as when two or more are interacting on the more traditional pages of the comic. Tomm Coker's artwork is clear and sharp, though at times his faces up-close seem stiff, caricatures of an emotion, sometimes the wrong one. The colors are bleak. There are plenty of greys and reds. But consider Victor Eresko, in the phenomenal third chapter of the book. His character design is frightening, something more akin to Hannibal Lecter as played by Anthony Hopkins in Silence of the Lambs. Hickman’s choice to foreshadow the visual tension during a police interview with a transcript of a lawyer-client interaction is an intriguing choice. It’s like a peek behind the scenes, before we get what we came for. There are some ghoulish moments throughout the four chapters, though often they’re told instead of shown. Hickman’s ideas and his themes, not to mention the world he’s crafted, are grim enough without going into the vivid details. He knows this. It’s hard to grasp the entirety of the mythology, though. It’s blood magic, corporate power, and ancient languages mixed into a mind-numbing concoction. It’s a cultish examination of the poisonous stench of greed. In a scene in which Eresko, the most memorable of the cast, lectures a class full of potential future members of the Caina-Kankrin Investment Bank, he bleeds onto them the absolute control that the power he has affords him. The students ask the questions that we’re asking too, and they’re treated like naïve children because of it. Further, not one of these people that we’re asked to engage with are likable, though Hickman’s never bothered with that. In 1927, the stock market crashed. The Four Pillars of the board at Caina must now repay a debt in a deal that made them all rich. The person sitting in the Stone Chair is the sacrifice, as the debt must be paid in blood. It’s dense stuff. The present day storyline deals with the murder of a Caina-Kankrin board member, something considered unthinkable. We then meet a detective who becomes our everyman into this cold, bloody world. It’s a steep claim to call even the detective an everyman. He has his own skeletons, and he has talents that fit right in with this bizarre New York environment. 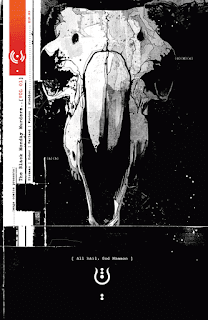 The Black Monday Murders is not an easy read, as you can probably gather that from the title alone, but it is a rewarding one. It’s not something you’ll open up to unwind at the end of a long day. If you try, you’ll likely toss the book across the room. And it is certainly not where you would start, when delving into the vast library of Jonathan Hickman. But if none of those things are of concern to you, then this is a special comic sitting on the shelves right now. It’s an example of just where the medium has come, and hints at its future (note that I’m not claiming that this defines what comics are or should be, only that it furthers the medium as one that has no reliance on one, or few, particular genre or style). Mammon is literally defined as “wealth regarded as an evil influence or false object of worship and devotion.” Early in the first chapter, Black Monday Murders Vol. 1: All Hail, God Mammon contemplates the value of lies against truths. So much of Hickman’s work here relies on twisting and bending reality, and the truth he invents here is more interesting than any drama based around the stock market has any right to be. Have you tried East of West or The Manhattan Projects? I've tried both and loved East of West, but haven't kept up since about volume 4.